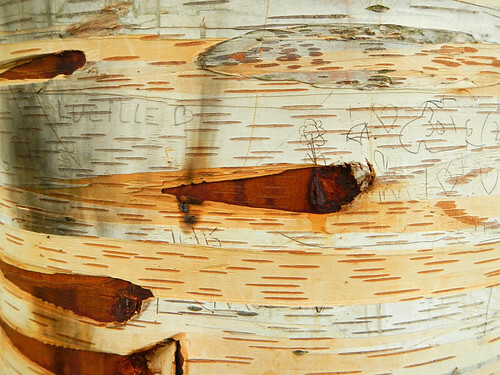 Birch trees are a favourite with artists; few can resist the white trees, themselves heavily patterned, that stand out as a linear pattern against almost any background. 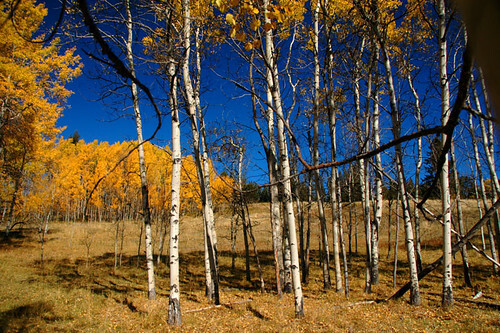 The birch trees turn all golden in the fall up in the hills above Merritt, BC. 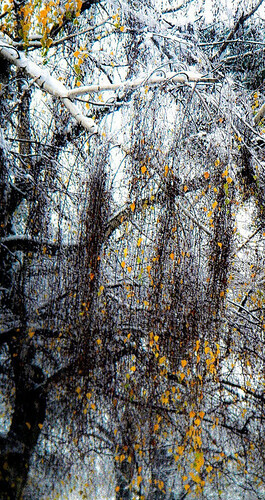 Winter at Whistler. 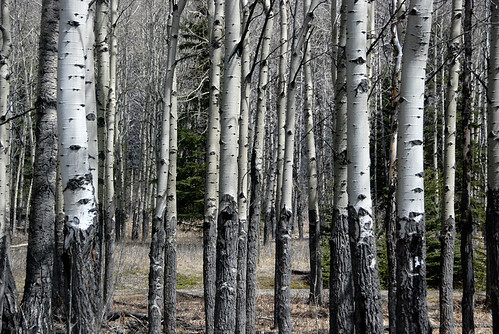 Spring at Banff. 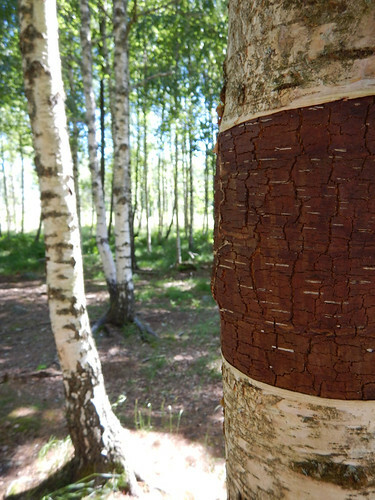 Now to summer at the Rock Carvings Site in Tanum, Sweden, an UNESCO World Heritage Centre with this tree that has had a layer of its bark stripped off. 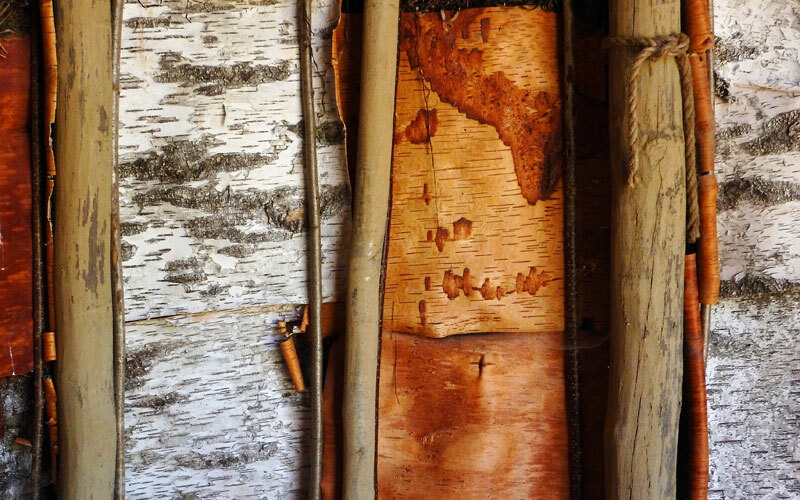 This is the archeologist’s prediction of what a home from Nordic Bronze Age 9700 years ago must have looked like; its inner walls lined with birch bark in an alternating pattern of inner and outer bark. 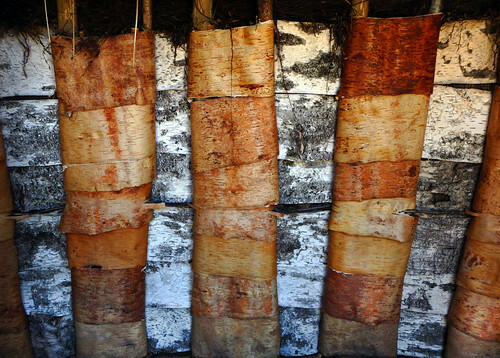 I folded some birch bark ages ago to reveal the colour differences between the white outer bark and sienna coloured inner bark – although these people were from 9700 years ago I see I’m fascinated by the same things as my ancestors! 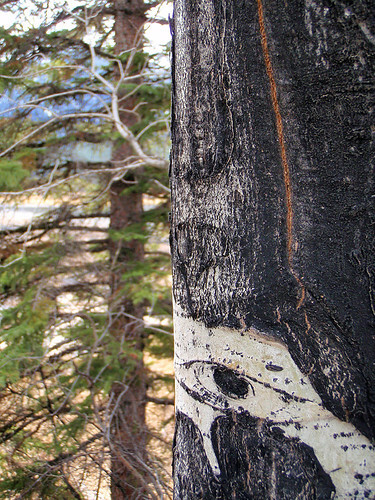 Banff again and a scary eyeball stares out at you from the tree. 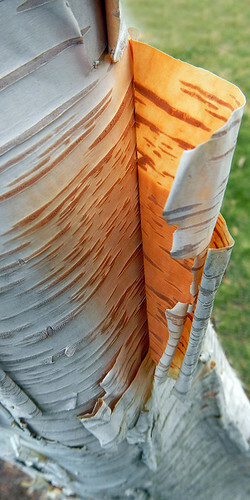 At the UBC, a peeling paper bark birch. 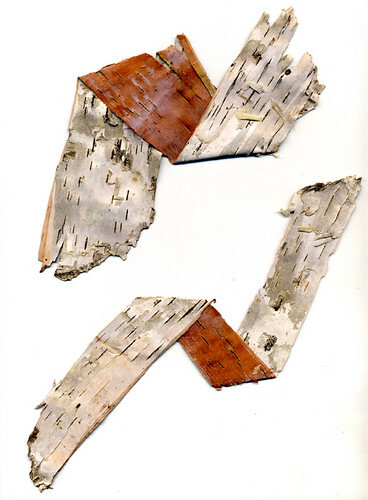 I have turned this image sideways – artist’s prerogative! 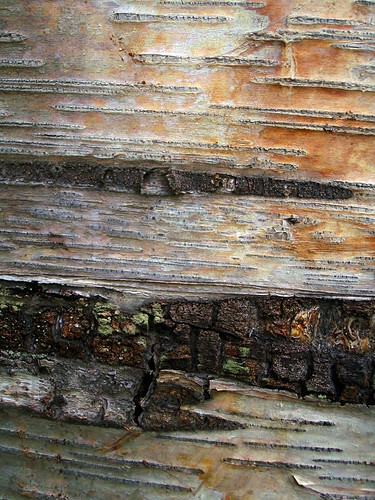 Birch tree bark at Cahir, Ireland. 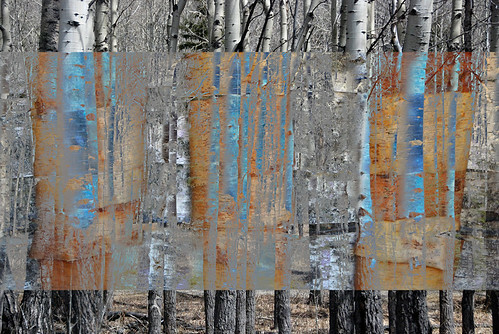 And finally, as this is an art blog, I have layered one of the Tanum site walls over the stand of Birch trees in Banff. 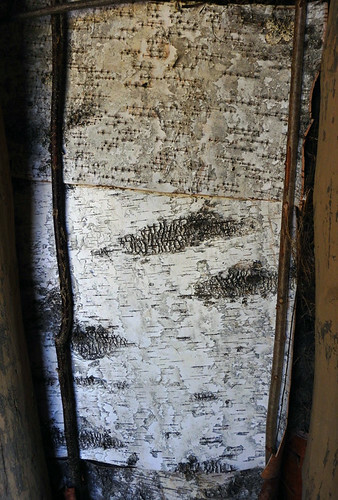 I see a lot more birch tree paintings in my future! 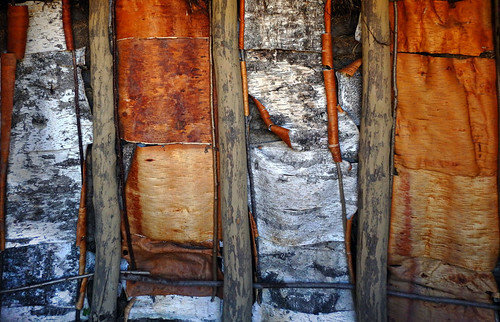 More of the Len-Artists Photo Challenge: Patterns. Natural magic. Wonderful entry Elizabatz. These are great. 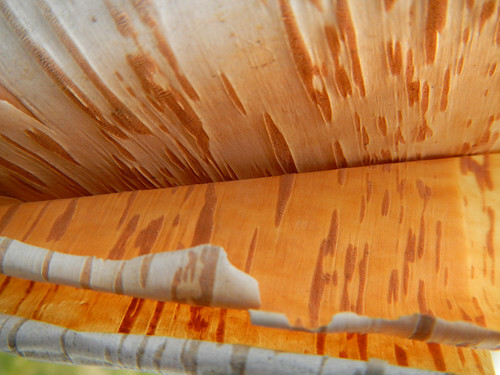 I had no idea birch bark produced so many different patterns and colours. I like the way you have used the photos for creative expression. 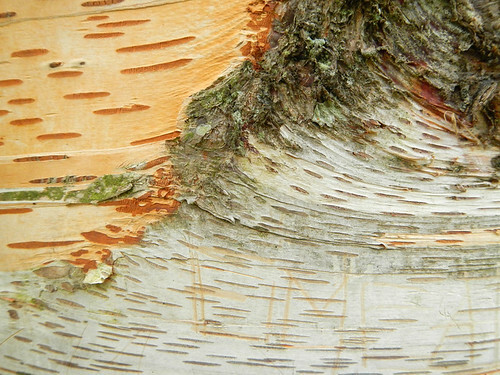 I love birch trees and have several of them in my garden. You have really caught all the differences and all patterns possible, it seems. The very white ones look so great, and some patterns I have never seen. The Banff one with “stiches”? 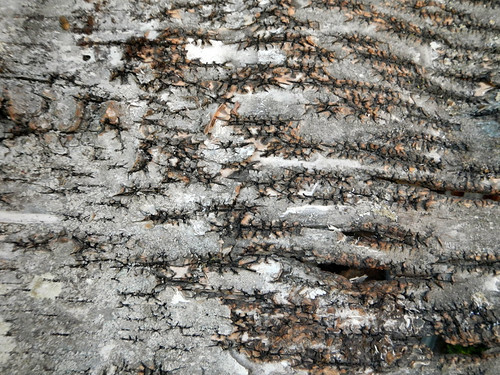 Stitches – what a great word to describe the pattern. There is a slight variation of this pattern in the top part of single panel in Tanum. Thanks for your prompt this week – you have really inspired me! So many patterns and all so beautiful!